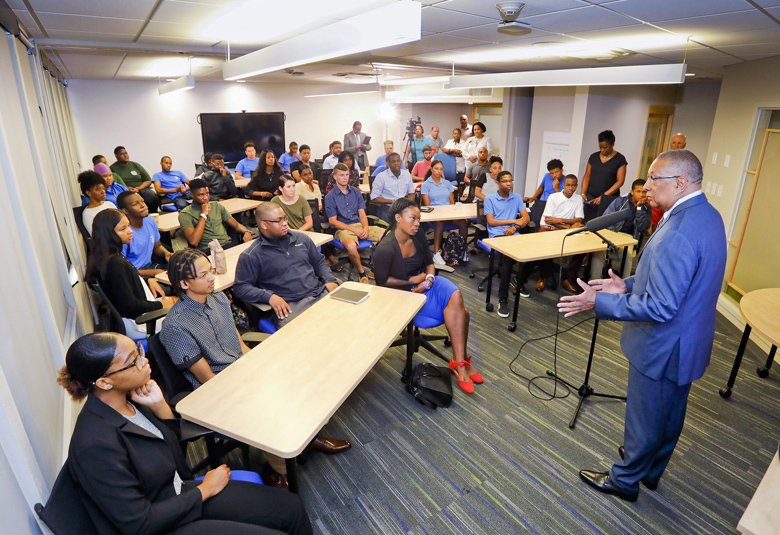 The Minister of Public Works Lt/Col David Burch celebrated Bermuda’s young talent yesterday [July 9], when he welcomed 37 summer students to the Ministry as part of the Government’s Summer Internship Programme. During their orientation, Minister Burch discussed career development and the opportunities for growth in their specific areas of interest. 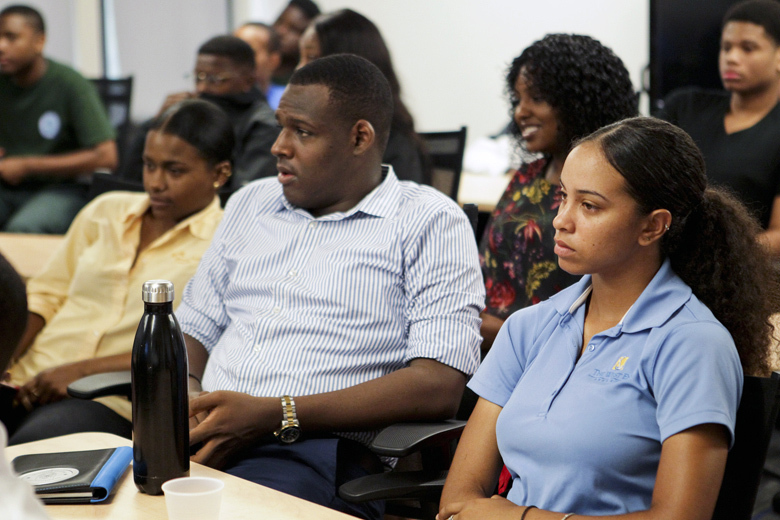 Each of the students are working in various sections throughout the Ministry of Public Works, including Estates, Works and Engineering, Parks, BHC and WEDCo among others. Minister Burch noted that “the Ministry is keen to assist the students in reaching their full potential through this programme and is pleased the Ministry can provide them with opportunities to help them showcase their talents”. 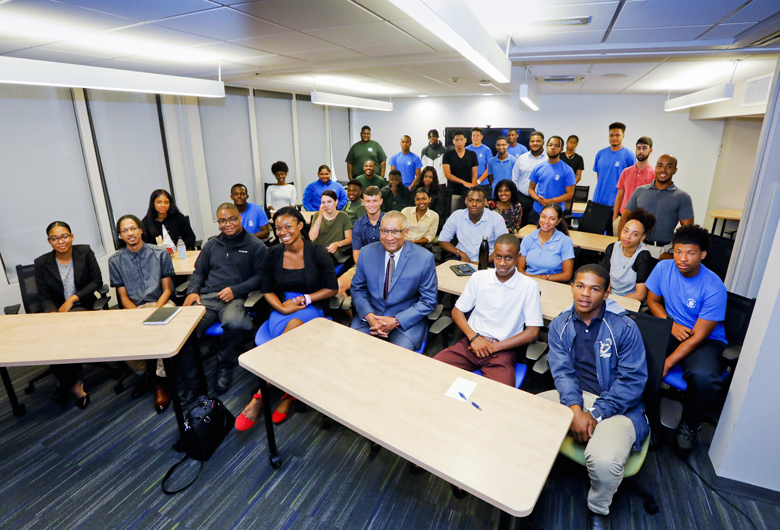 Spanning the high school and college level, the students are part of the Bermuda Government’s Summer Employment programme which is a joint effort by the Department of Workforce Development and Community Development.